The nicest, most expensive, turntables you can buy. Even the nicest turntable in the world isn't worth much without these vinyl accessories. What are you looking for in a turntable? The coolest design? The best features, functionality, or sound? The best balance of all of those? Either way, you can't just walk into a best buy and see the best turntables the world has to offer first hand. 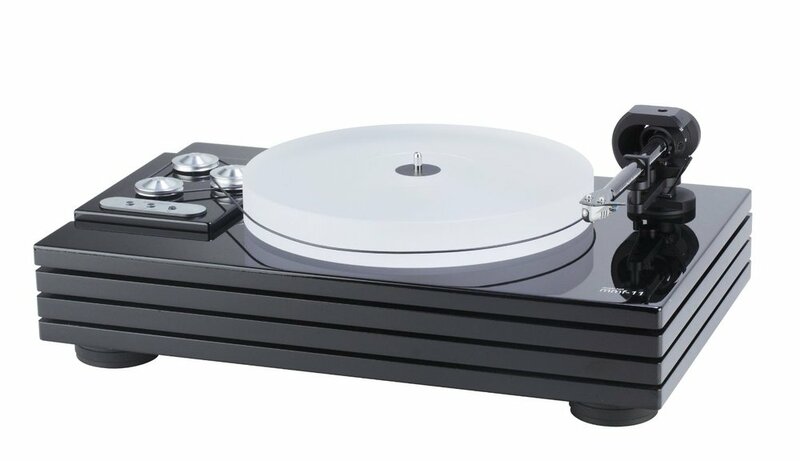 I strongly recommend that if you are going to spend the kind of money that these turntables below cost that you buy them somewhere reputable online where you'll be able to return or exchange them in the event you find you were looking for something else. Most people won't have access to these turntables even at the best record/electronics store in their city. So anyway, I've compiled this list of the best turntables I have ever seen or heard stories about on the internet. If you want to buy one record player that you will hopefully be able to pass down to your grandchildren, chances are, it's on this list. If you want to buy the most advanced, highest quality turntable, anywhere... it's on this list. If you want to buy a turntable you can showcase confidently... it's on this list. 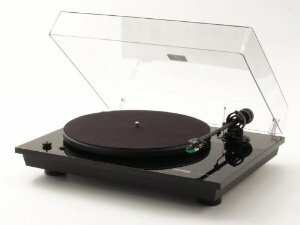 These are stylistically superior record players with components and features you can't find on low end model turntables. If you are looking for more everyday record players or turntables, see this other page where most people should start when looking for their first record player. And for people interested in just getting a quick and easy record player setup, check out the best all in one turntables you can find online, here. In my opinion, this is one of the best options you could choose from if you have the money. It's a great design, super functional, and the sound quality will be hard to beat. You have people walking around your house, your appliances are running, your stereo is turned way up and your speakers and sub are rattling the walls... chances are your turntable will pick up those vibrations and amplify them through the needle as if those sounds are what you want to hear. The quadruple plinth design of this Music Hall MMF-11 turntable is designed to absolutely destroy external vibration that is one of the biggest contributors to muddying the sound of your vinyl through your stereo. A heavy turntable will likely spare you those external noises and increase your level of enjoyment. This is an excellent turntable. All of which are impressive, worthy record players. The Pro-Ject Perspex is constructed using a clear acrylic plinth. Floating above the plinth is a sophisticated sub-chassis system made of corian suspended by three height adjustable opposing magnet fields. I consider this turntable to be a modern-looking, less performance based option. I don't know, some of these turntables like this one I just don't really understand. I mean, there is nothing particularly modern about collecting or playing vinyl records... so I don't see the appeal of a futuristic looking turntable. But, I'll bet it's nice and it'll be the right look for the right person, I'm certain. This is the mother of all turntables. It is the one I have and is absolutely the centerpiece of my stereo and living room. Some might say it's overkill for my casual use, but it is something that I intend to have for the rest of my life and the pass on to the next generation. Unmistakably the most recognized turntable for quality and function. I'm almost to the point where I want to buy a second one, as a backup, because I love the one I have so much. It would be a futile gesture, though, because the one I have will most certainly outlive me. This might be my FAVORITE LOOKING turntable in this whole post. 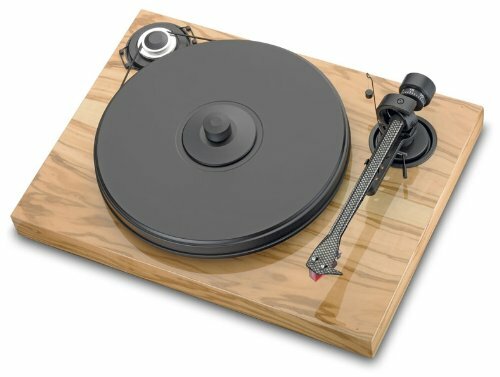 I love the natural wood look, and I think it adds to the appeal and plays well into the tactile experience of listening to music on vinyl. I think the design is simple and beautiful all around. As a bonus, I don't think Pro-Ject makes a bad turntable, so your money would be well spent on this design. It has all the features you'd expect from a $1500 turntable. A mildly more affordable version of the turntable above. You can see that the design is a little different in the hardware and that the platter is cheaper. But it's still a great design, from a well respected turntable brand, and I'm sure plays great. Rega makes some of the best turntables your money can buy and this titanium version of the RP1 is a perfect example of it. Simple design, great turntable.